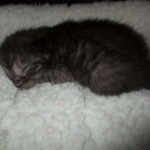 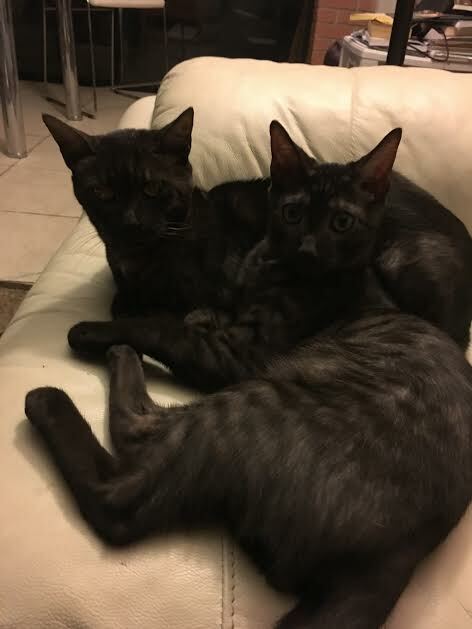 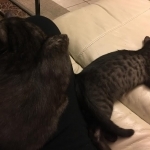 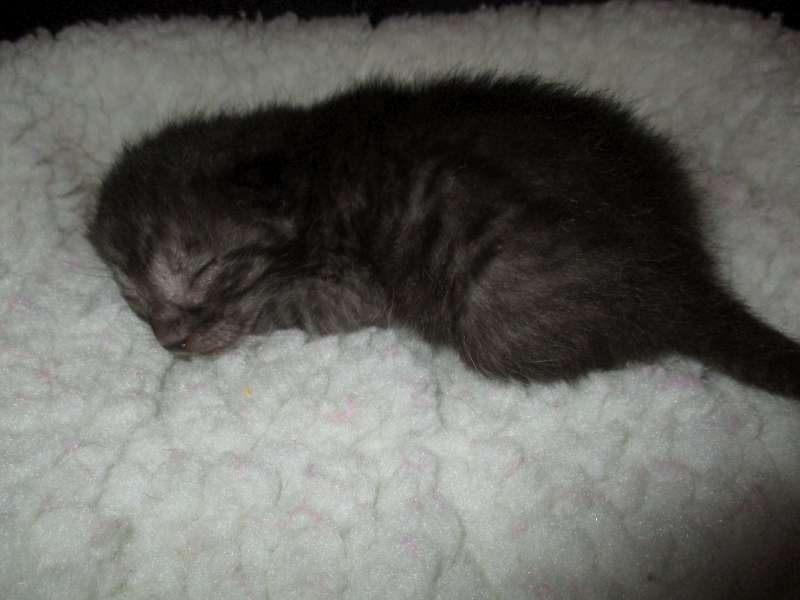 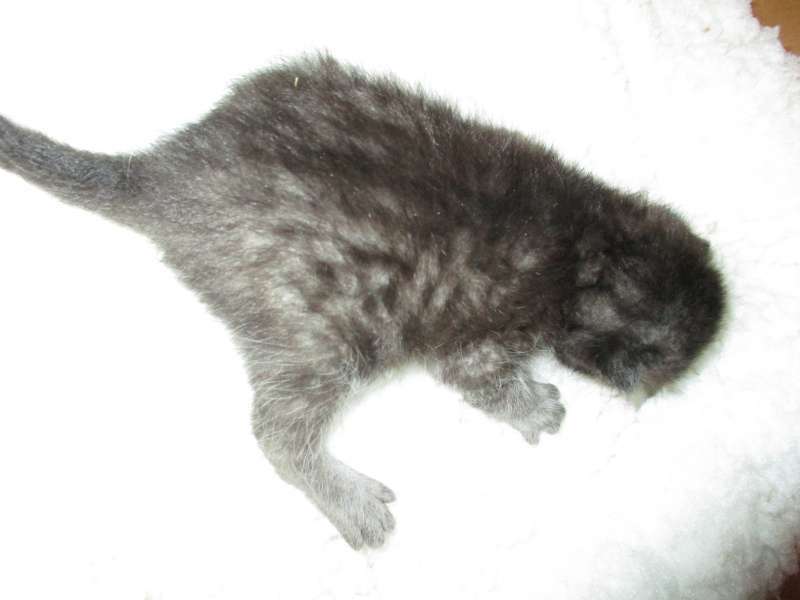 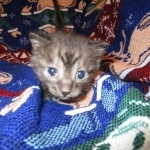 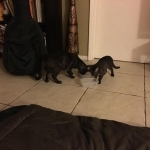 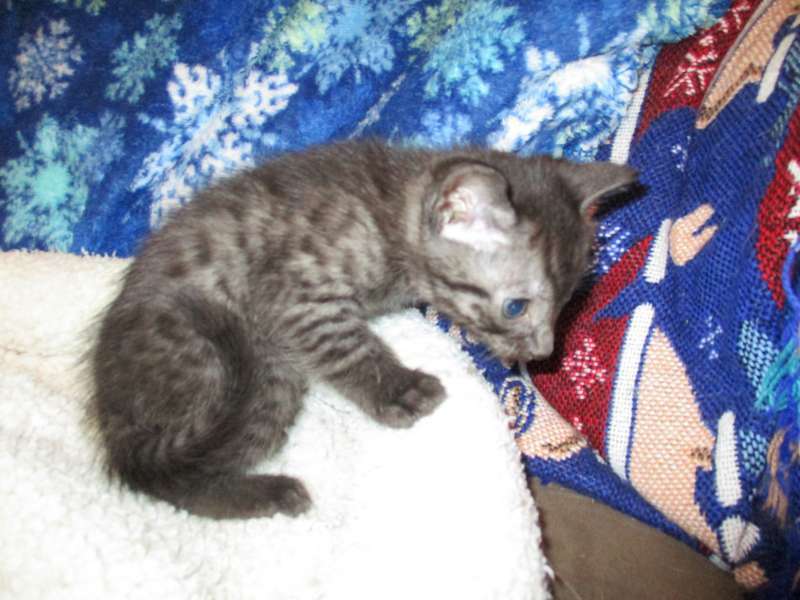 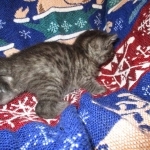 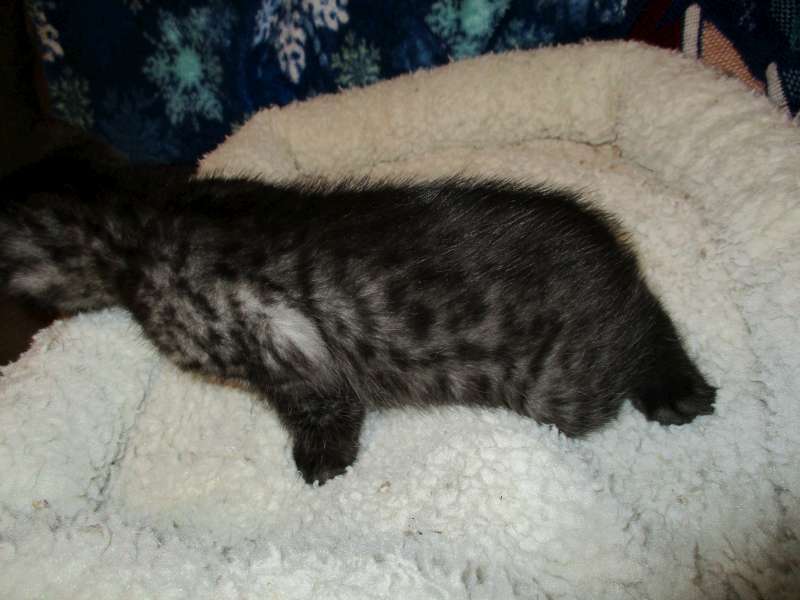 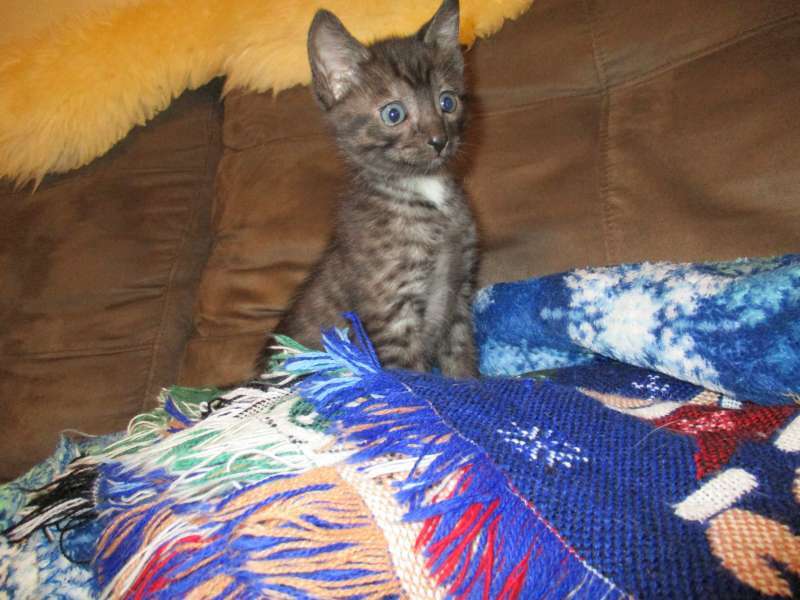 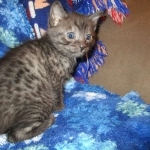 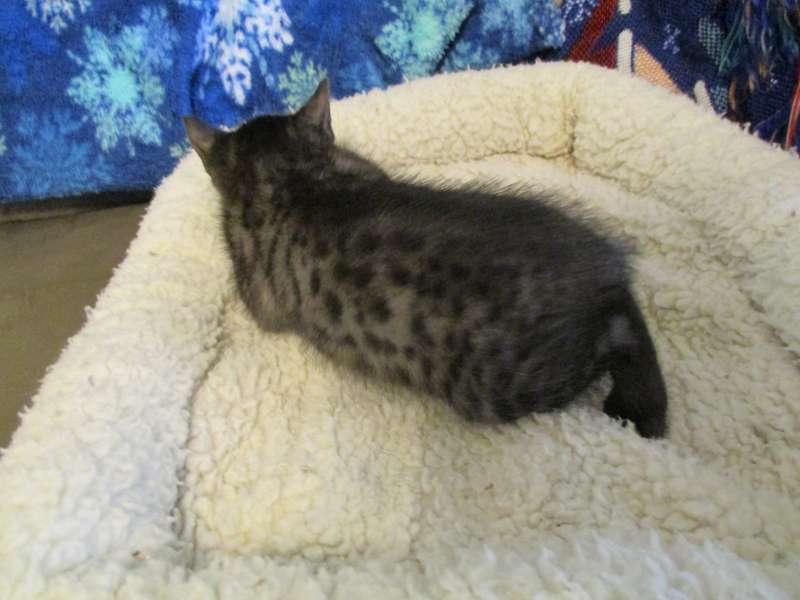 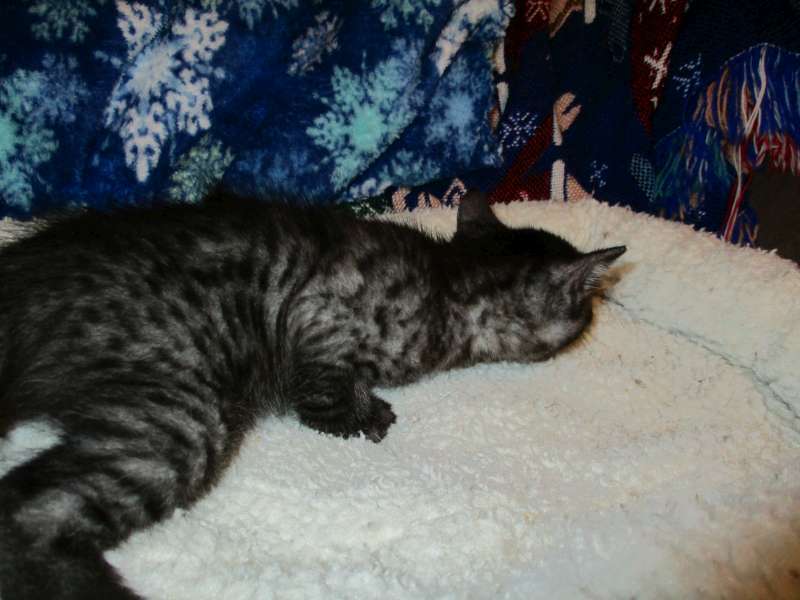 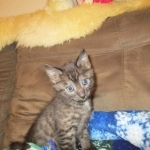 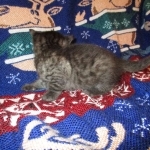 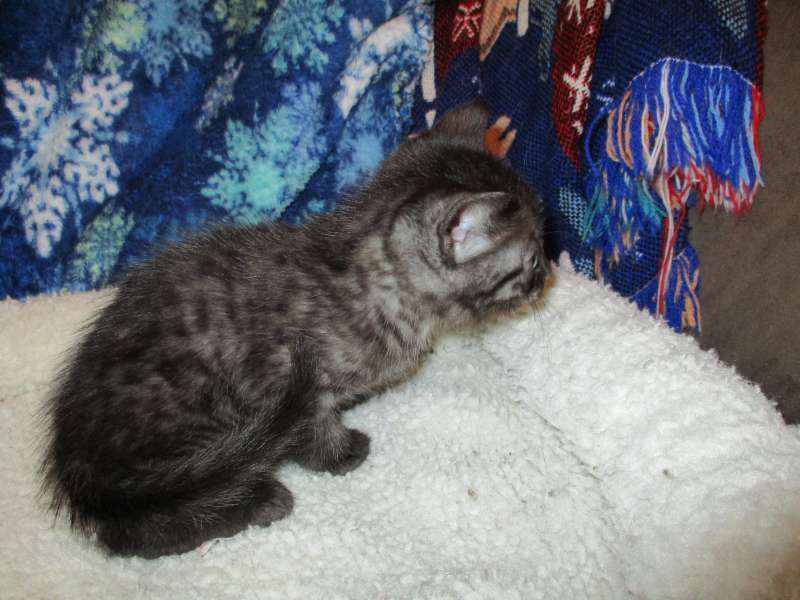 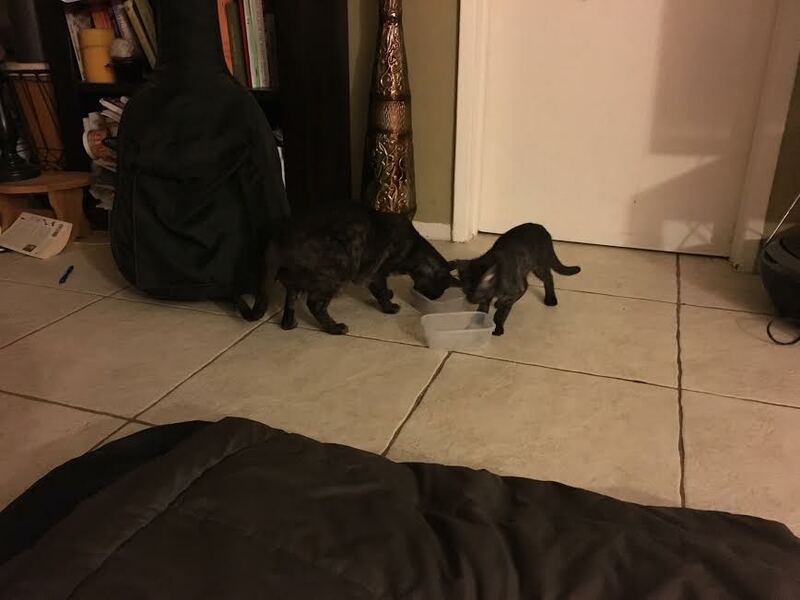 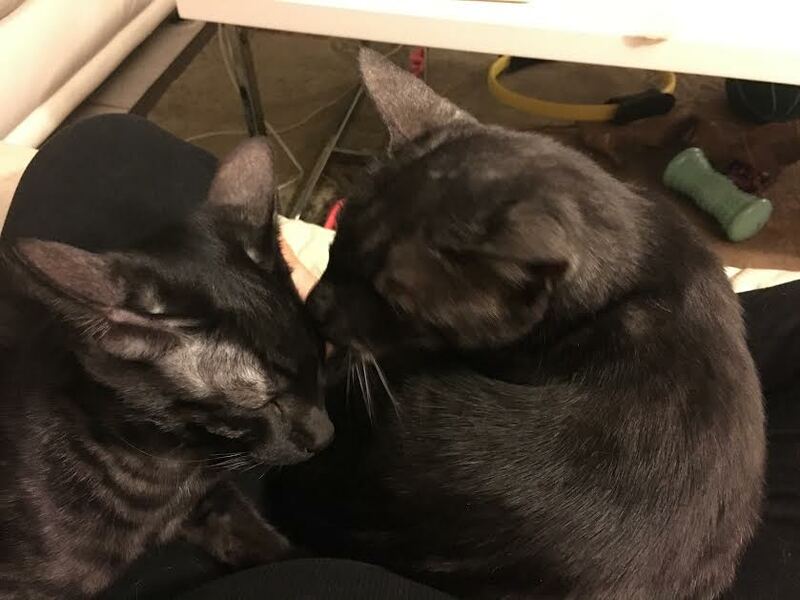 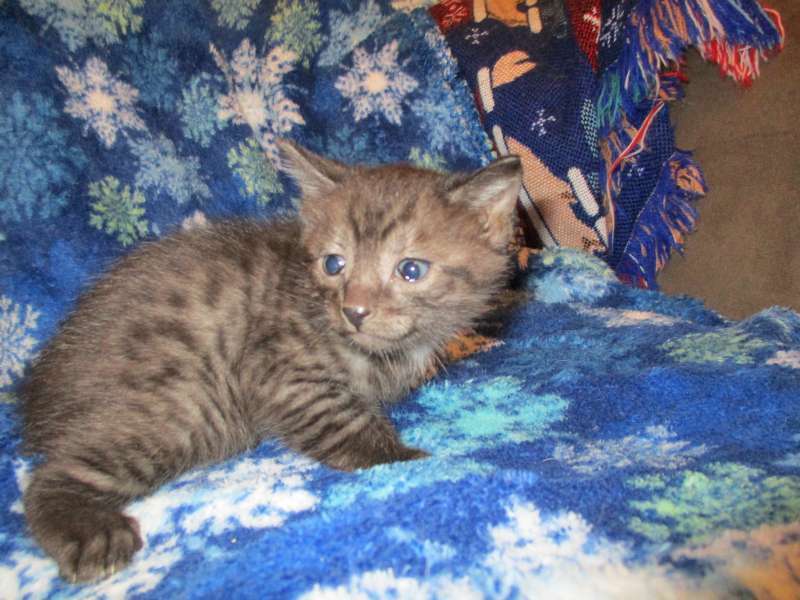 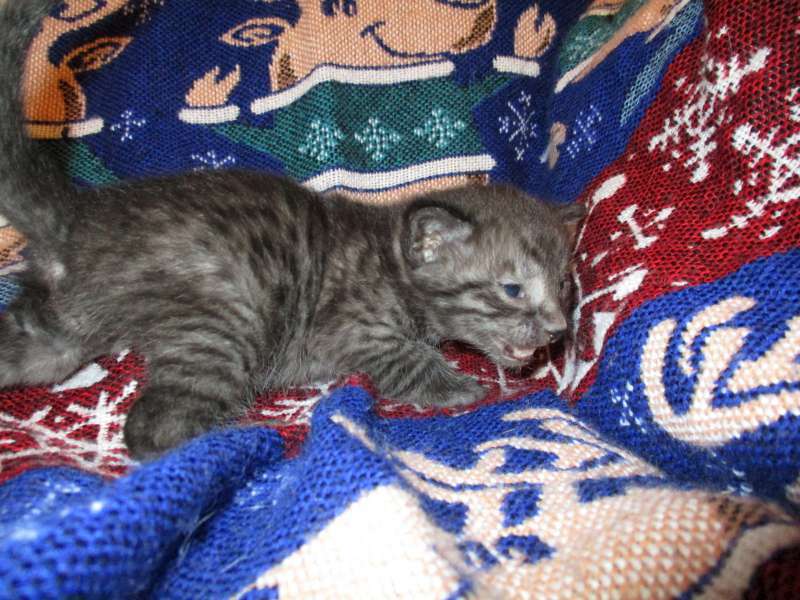 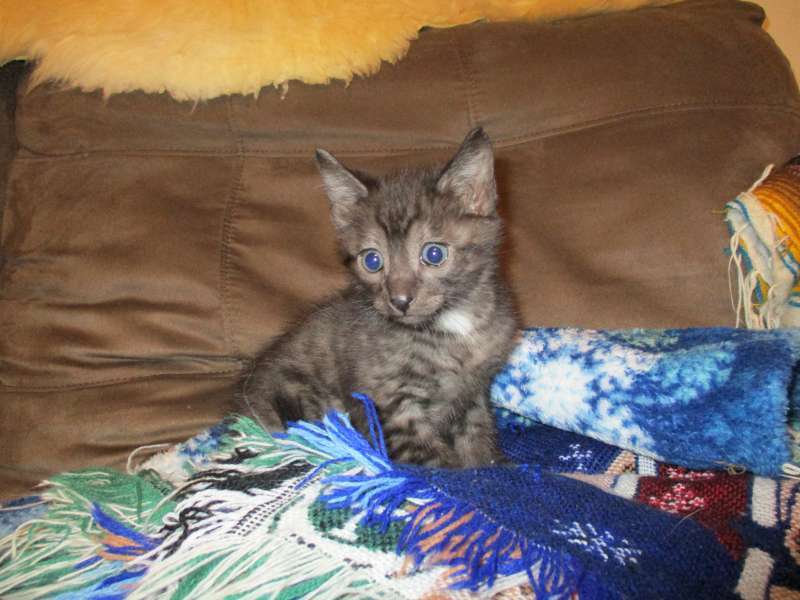 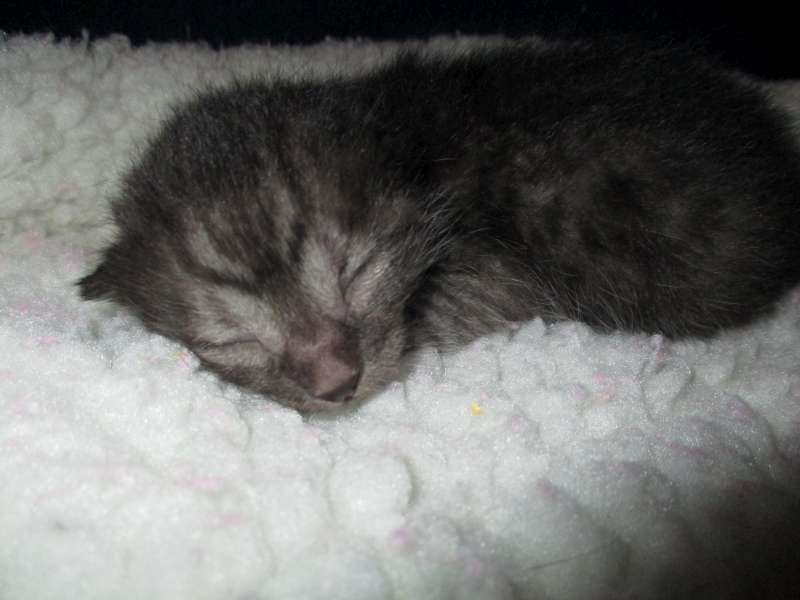 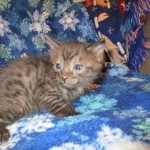 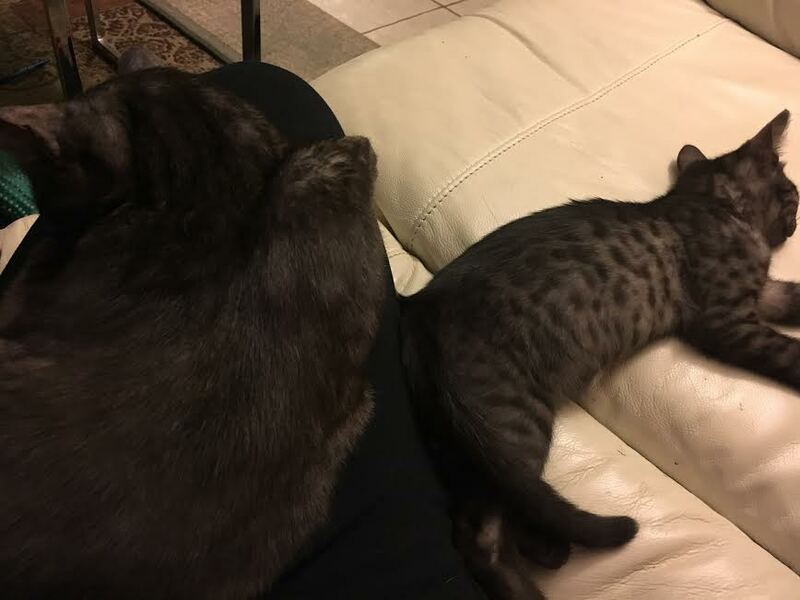 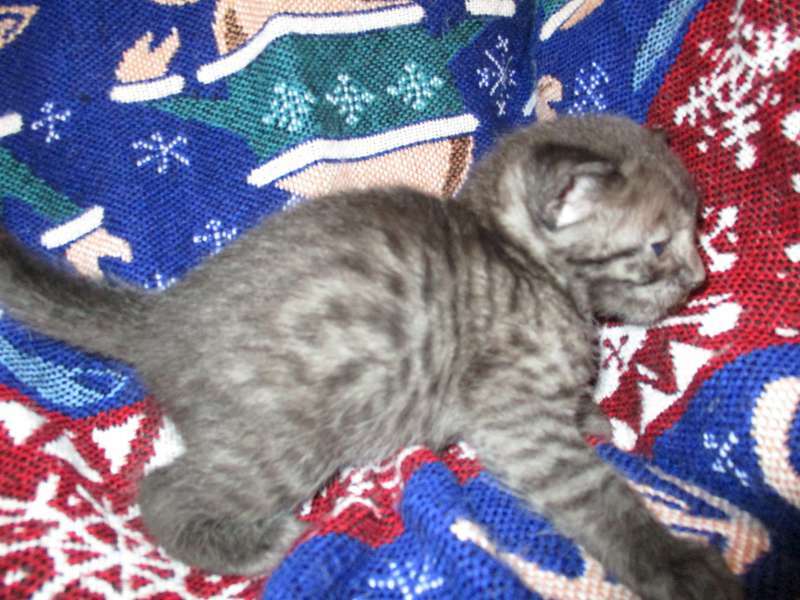 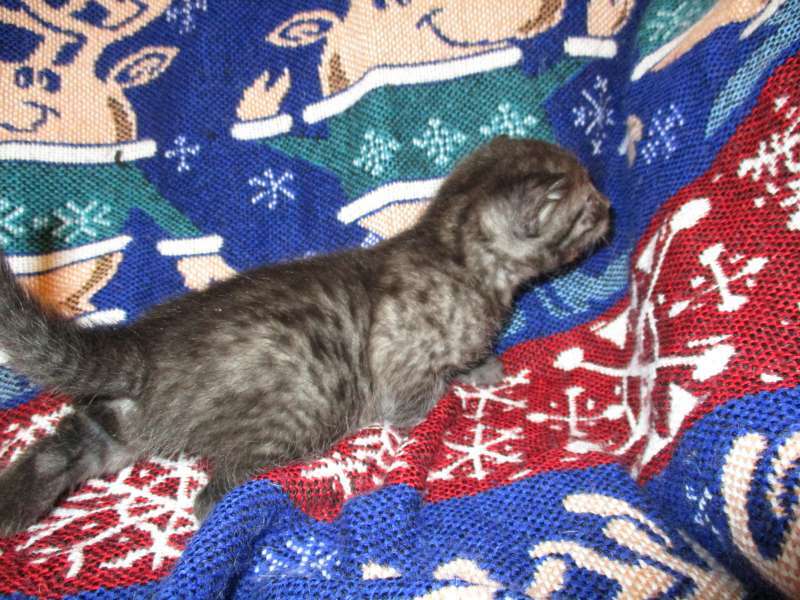 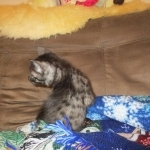 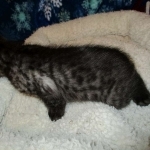 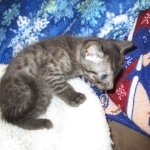 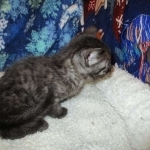 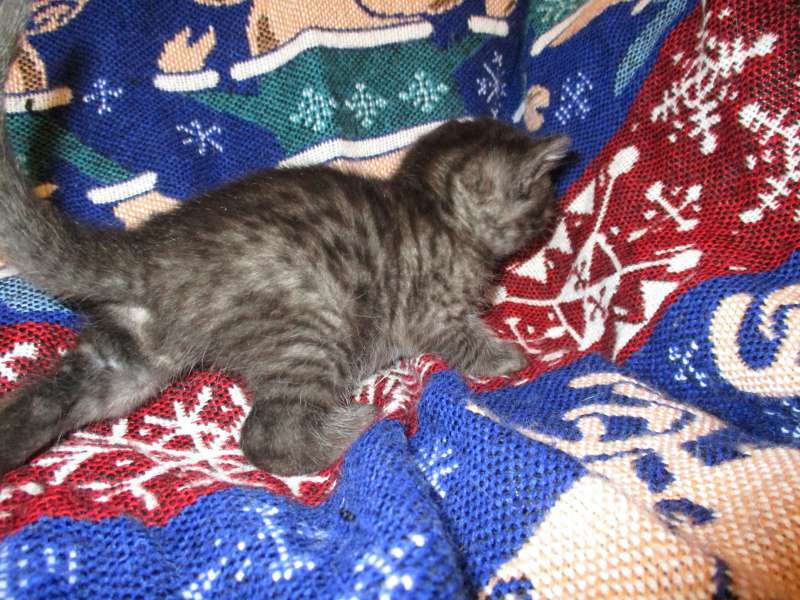 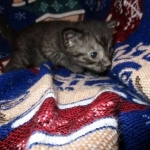 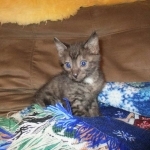 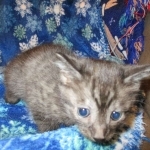 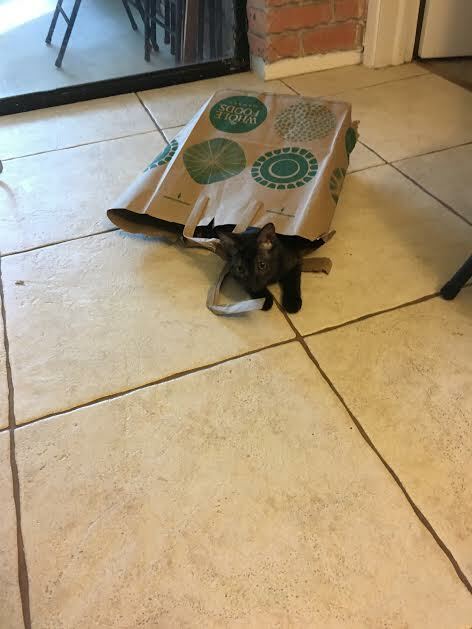 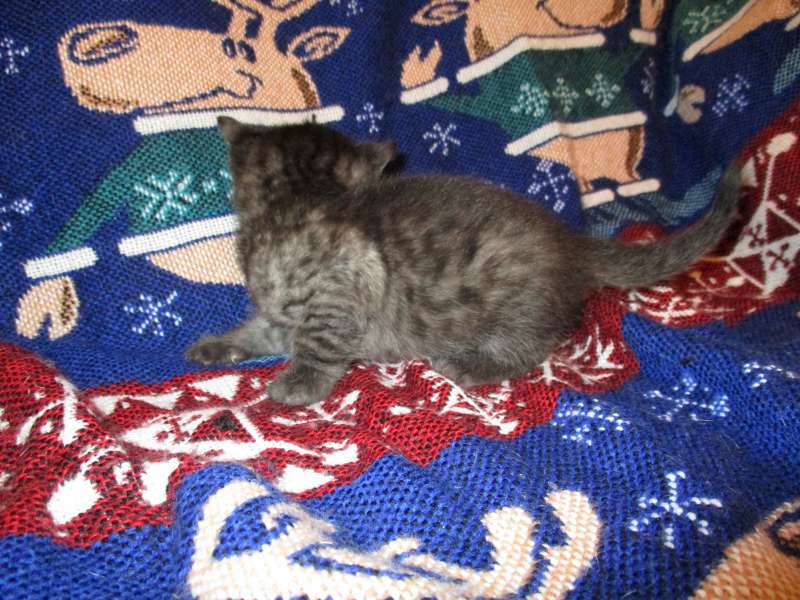 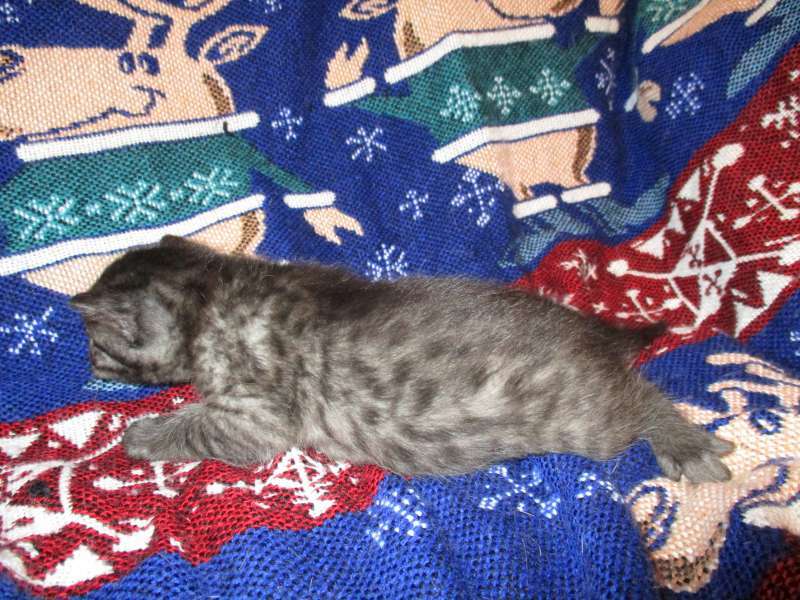 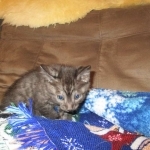 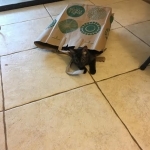 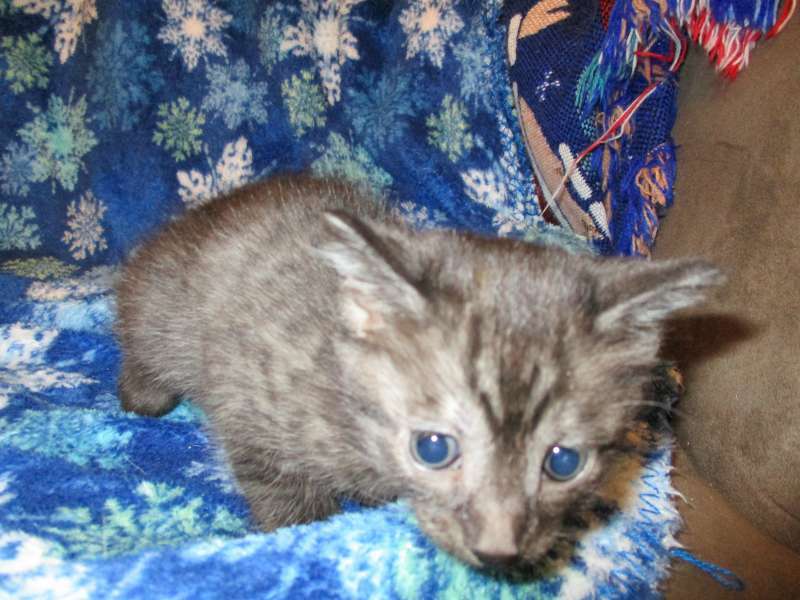 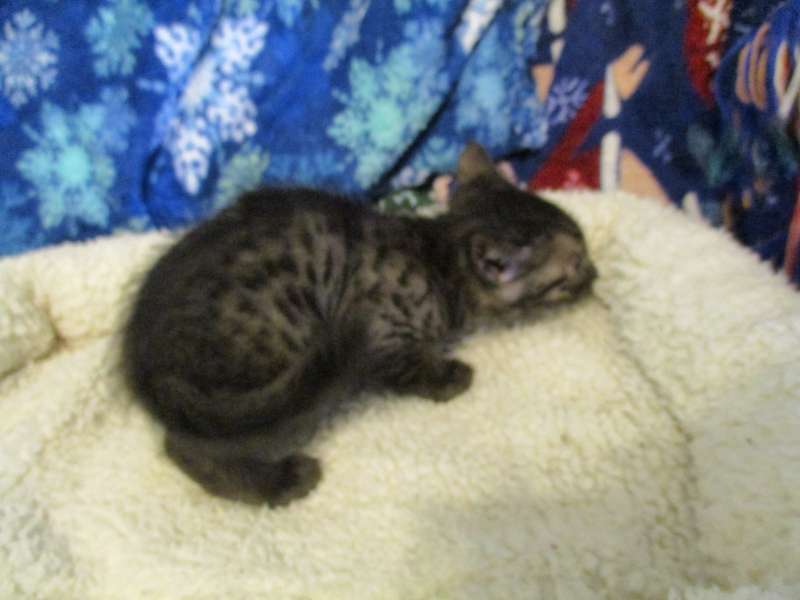 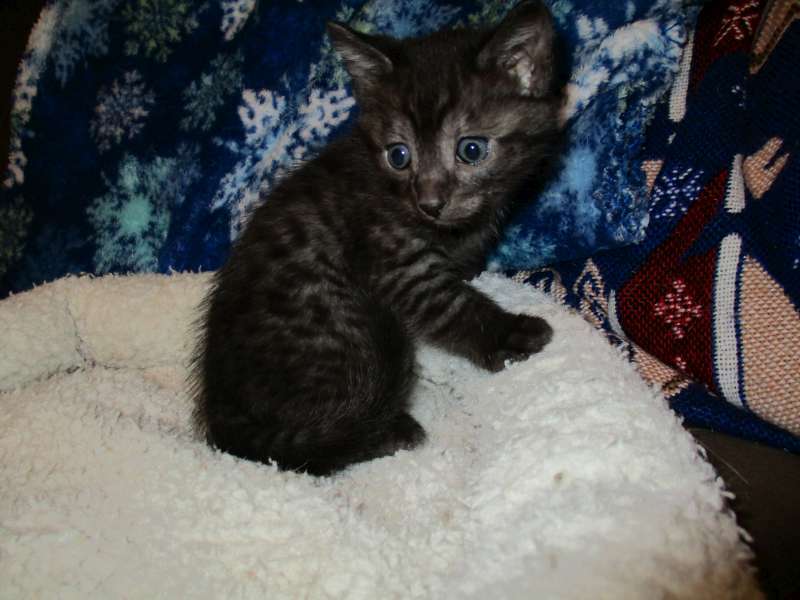 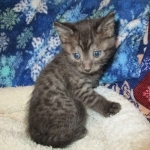 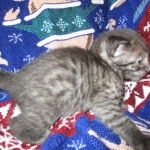 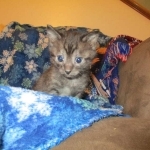 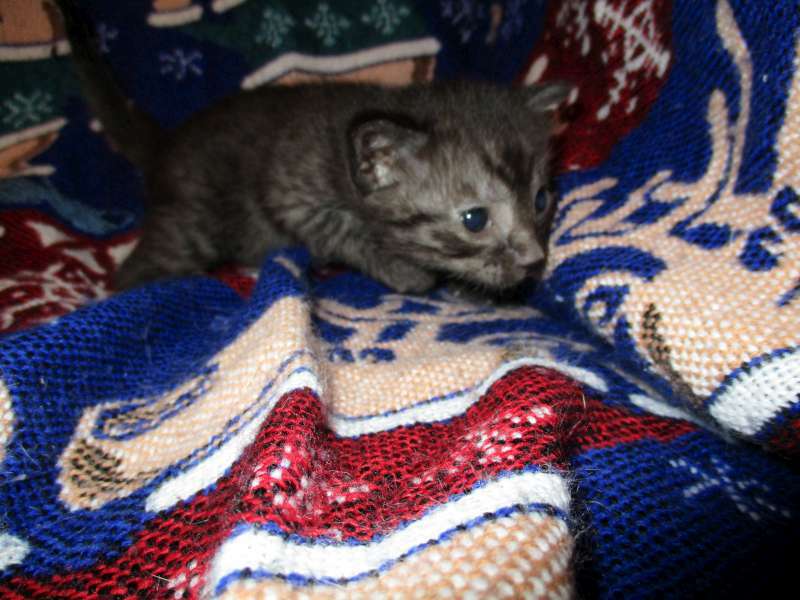 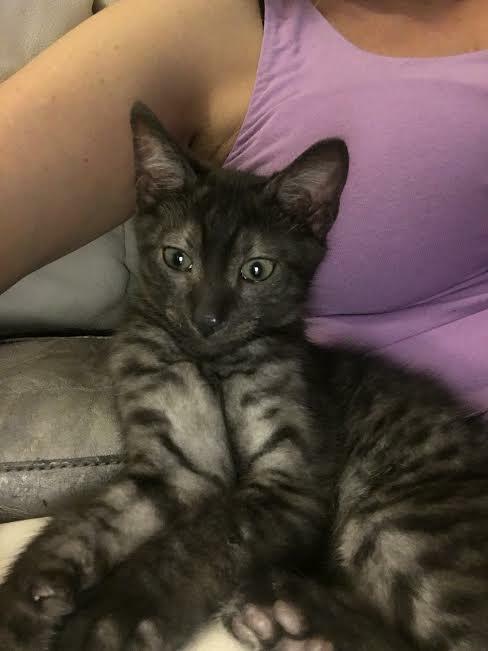 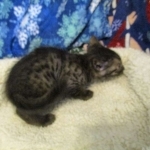 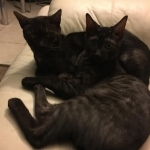 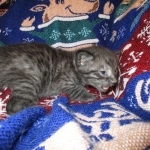 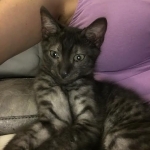 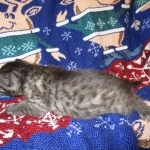 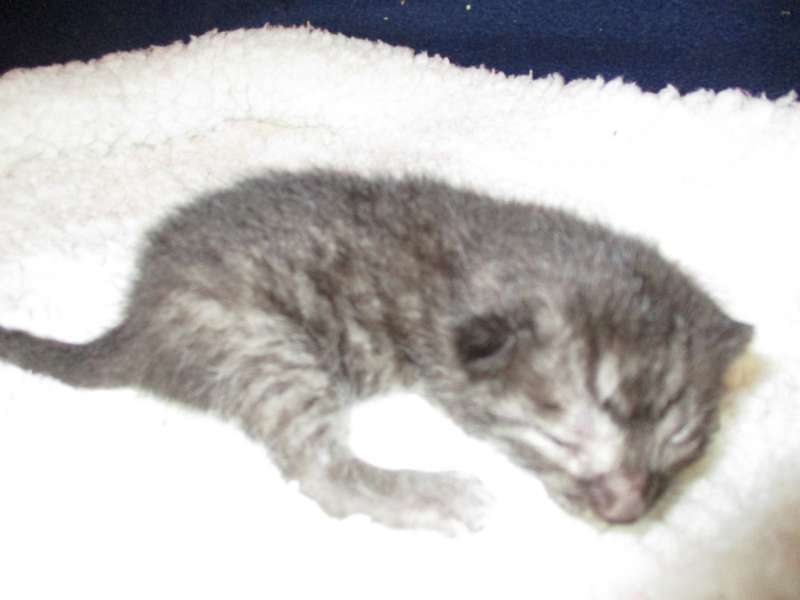 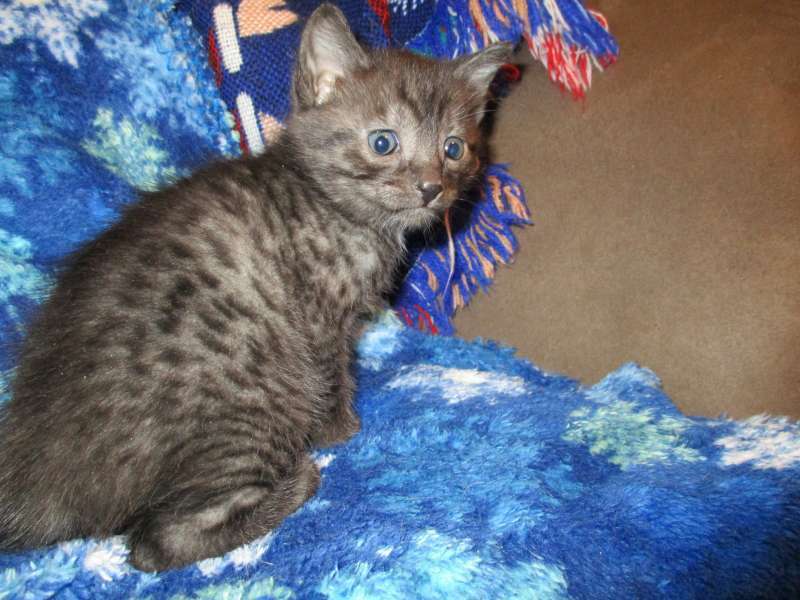 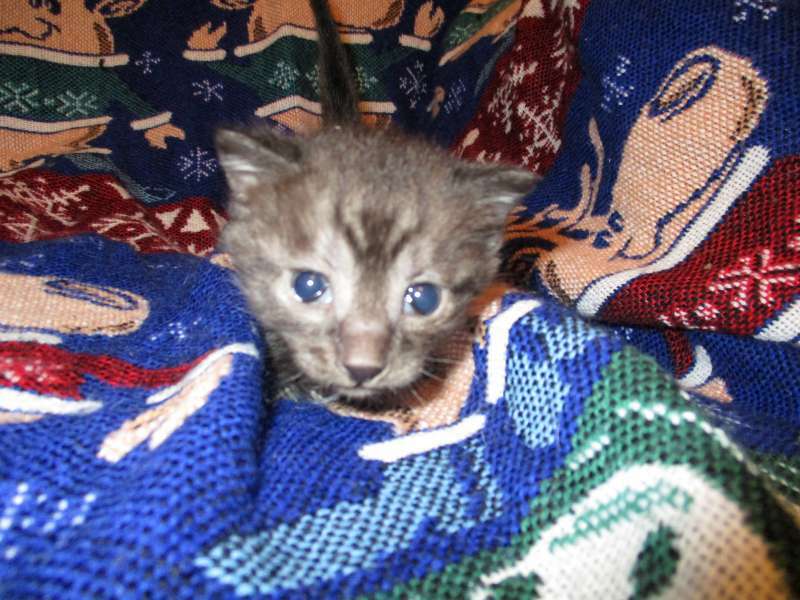 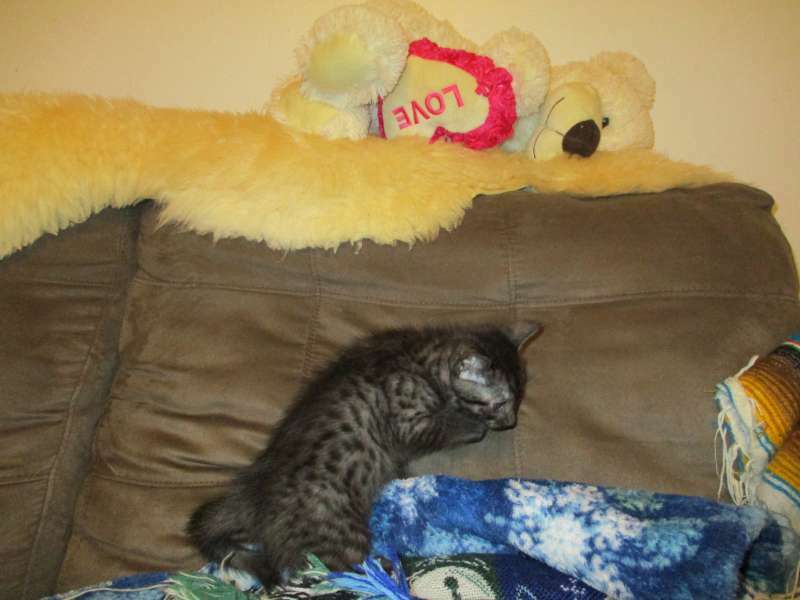 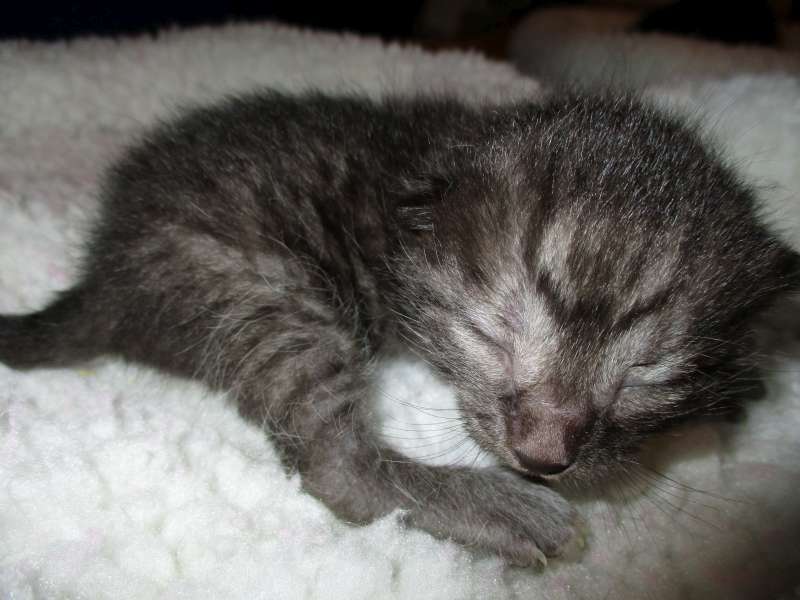 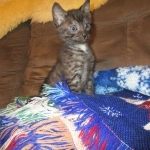 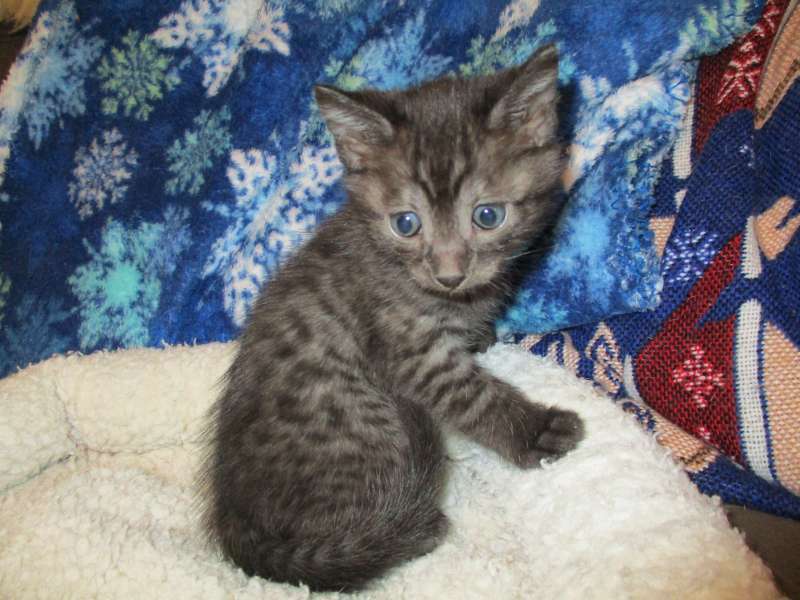 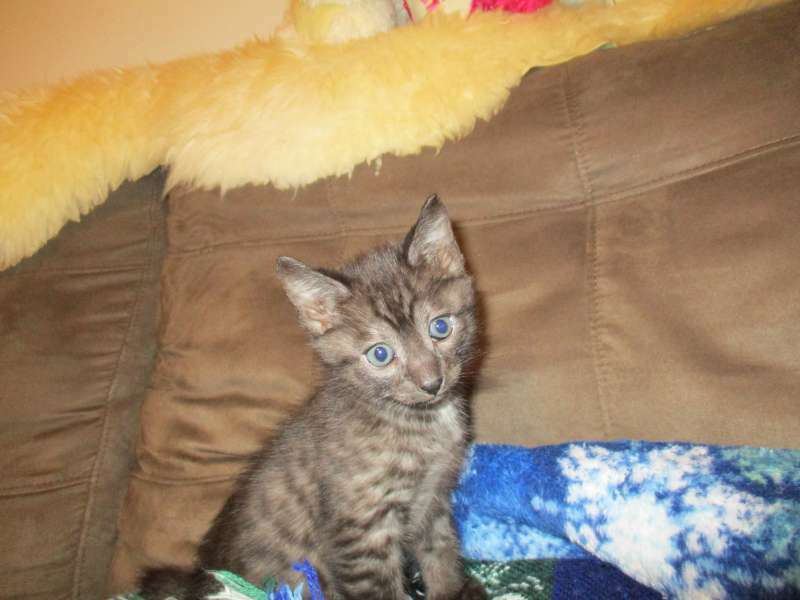 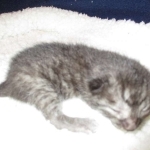 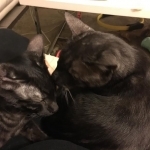 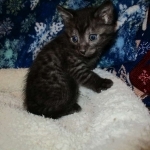 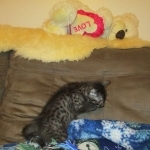 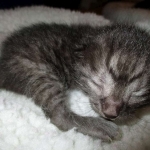 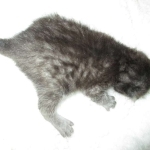 This beautifully marked smoke male Egyptian Mau kitten will be a stunning adult and a very unique and loving pet. 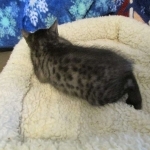 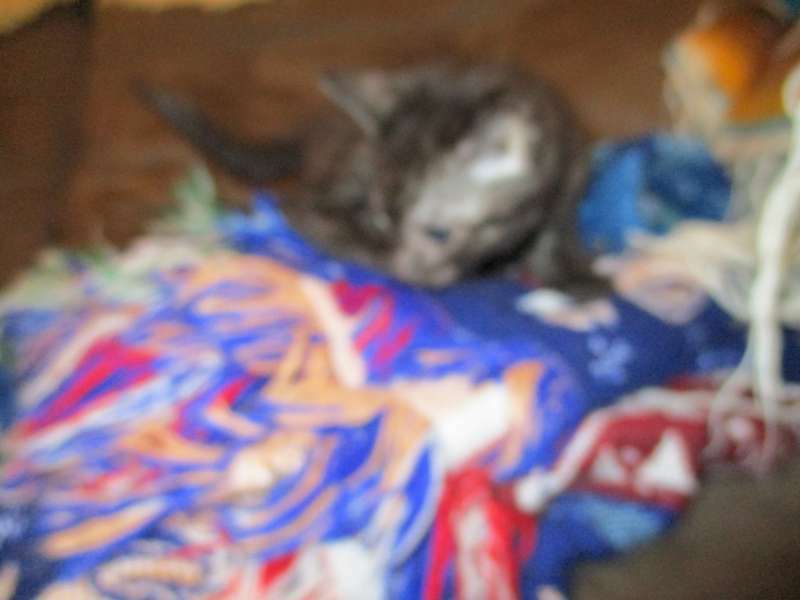 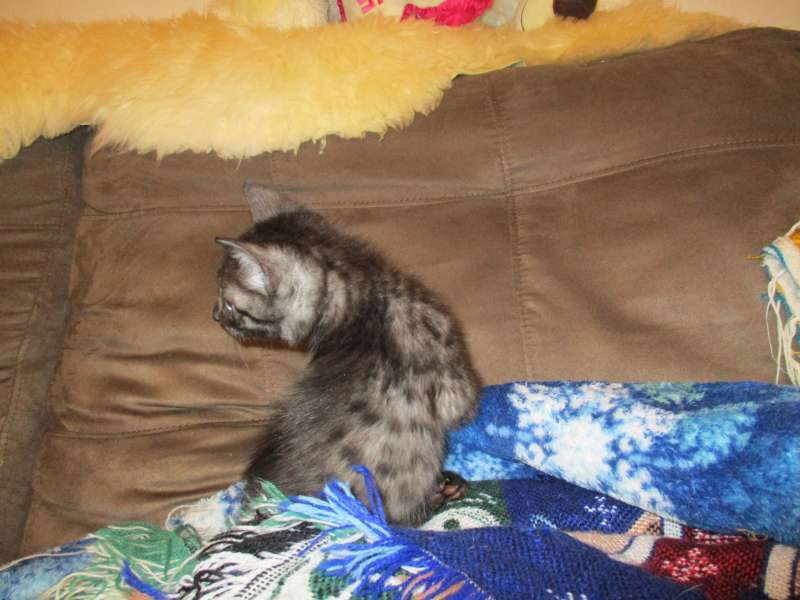 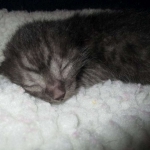 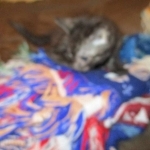 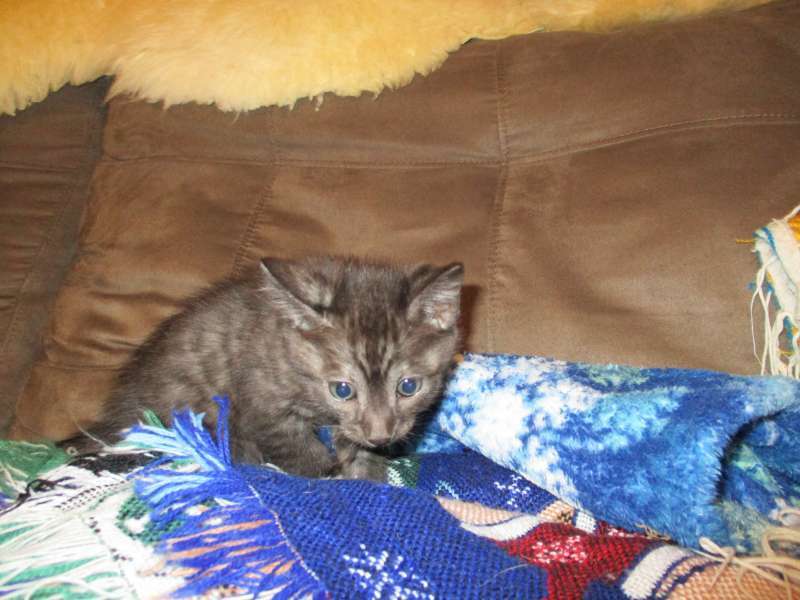 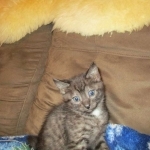 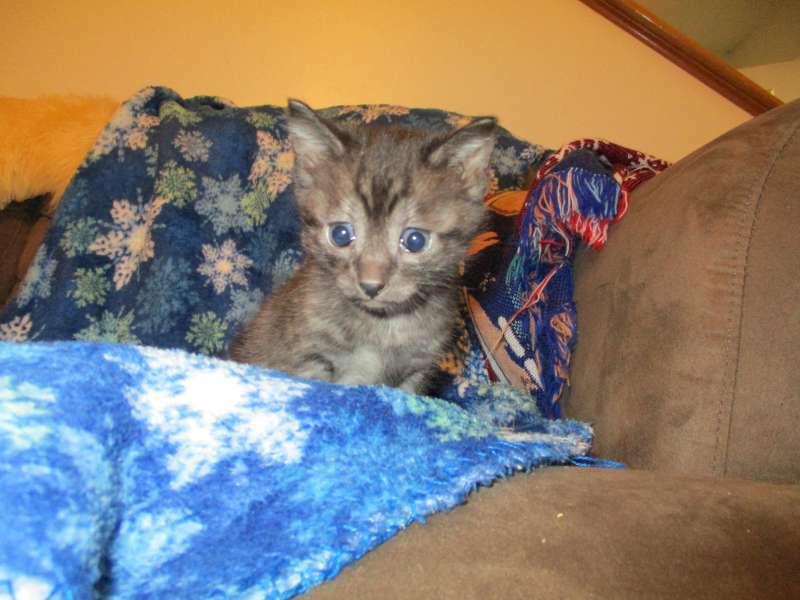 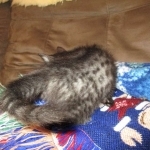 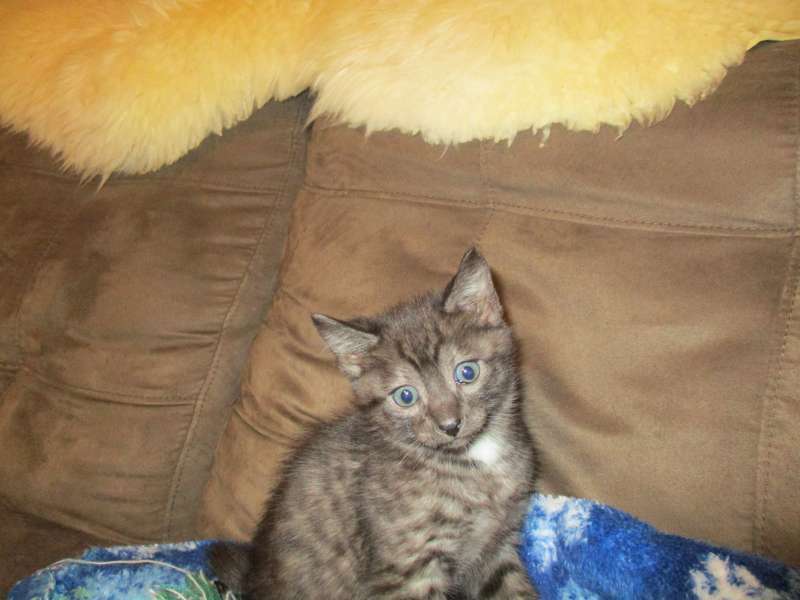 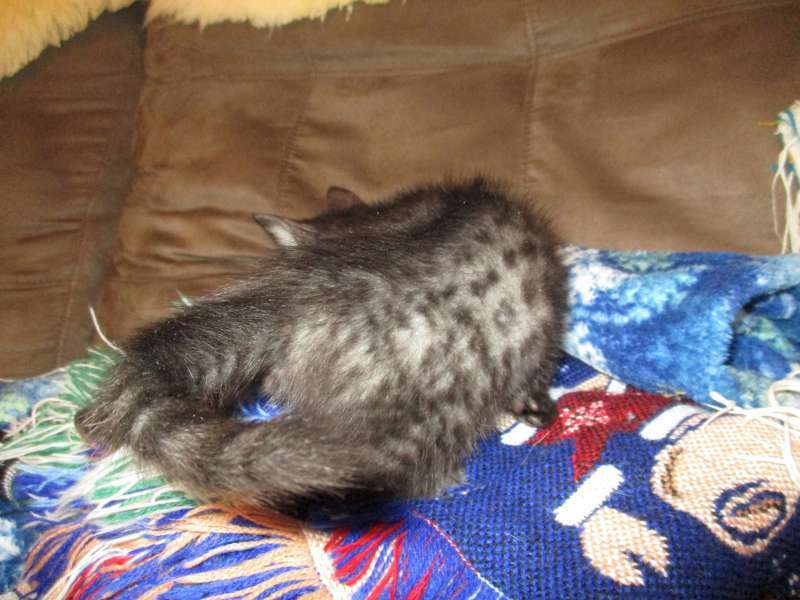 He has gone home to Debbie in FL and her other smoke male Mau. 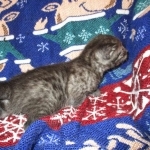 The little guy is doing great.